Enter the email adress associated with your account, and we'll email you a link to reset your password. A reset link has been sent to your email! Follow the steps below to reset your FHM.com.ph password. Open the email in your inbox. Click on the link in the email. Continue to reset your password on FHM.com.ph. Read on to score FREE tickets! In case you don’t have plans this weekend, we have a suggestion: Gather your barkada, ready your beer bellies, and bang your head to great music at Jack TV's MADFest 2017! With the theme “Juan Sound. One Playground. A Celebration of Breakthrough Filipino Talents,” Jack TV’s MADFest 2017 is set to be the biggest music, arts, and dance festival this year. Enjoy 12 hours of non-stop music and lots of activities this Saturday, November 11 at the Circuit Makati Events Grounds from 3 PM to 3 AM. 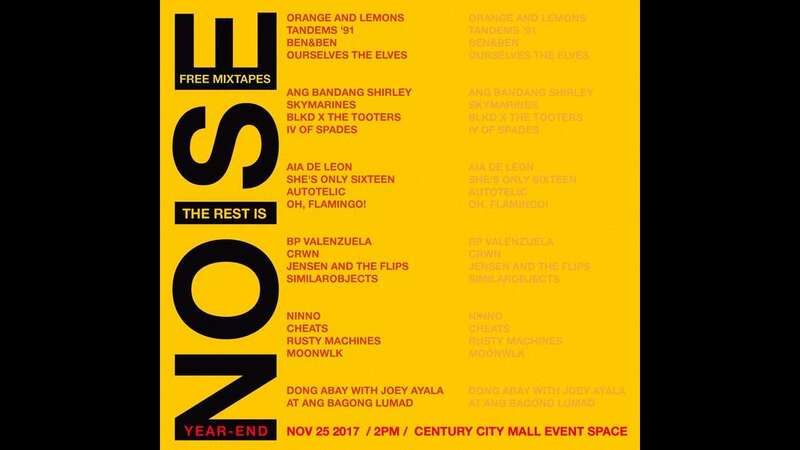 Awesome bands to watch for in this much-awaited event are Parokya Ni Edgar, Gab and John from Urbandub, Mayonnaise, Sandwich, Hale, Imago, Kjwan, Gracenote, Hilera, SUD, Ben & Ben, The Ransom Collective, Tanya Markova, Veronica and I, IV of Spades, Ang Bandang Shirley, Pow Chavez, BNK, and more. DJ Toons, DJ Katsy Lee, MC Ronthug are also set to fire up the party come midnight. There’ll also be performances by Legit Dance Crew and The Alliance! 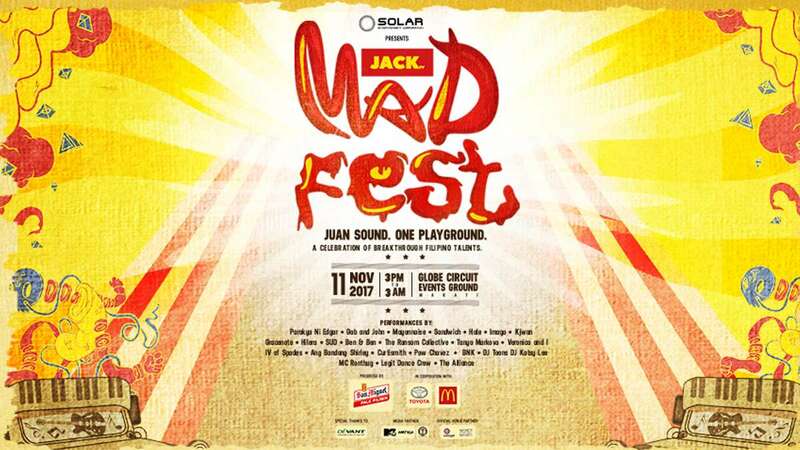 For FREE tickets, check out the Jack TV MADFest giveaway on facebook.com/solar.jacktv. See you there! For more details, check out Jack TV on http://jacktv.ph/, on Facebook via www.facebook.com/solar.jacktv. Jack TV is seen on GSAT Ch. 19, Cablelink Ch. 36, and Cignal Ch. 126. Are you sure you typed the correct email address? Please try again.